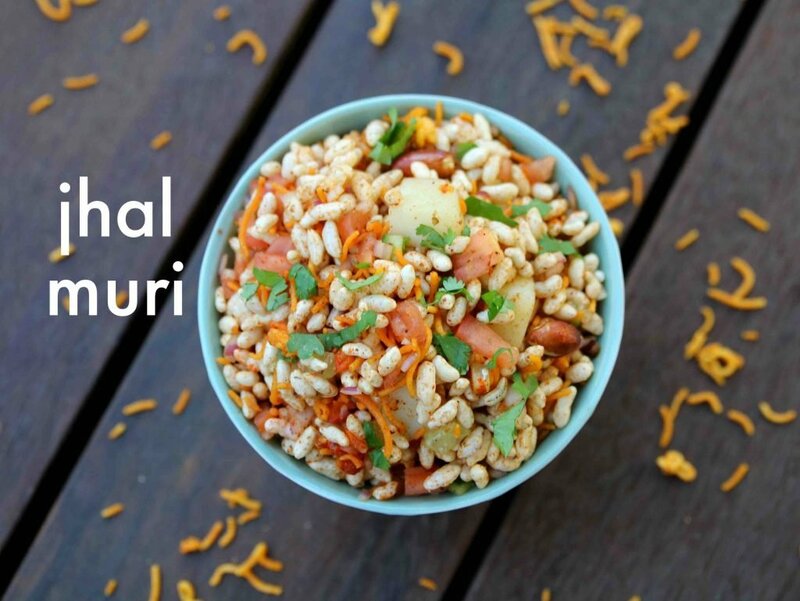 jhal muri recipe | jhal muri masala recipe | jhalmuri or jhaal muri with detailed photo and video recipe. a popular puffed rice based street food snack recipe, hails from the bengali cuisine or kolkata cuisine. a simple snack, perhaps a far cousin to the western indian snack – bhel puri, has its own unique taste and flavour. the recipe is fairly easy to prepare with extra spices and veggies compared to bhel puri. jhal muri recipe | jhal muri masala recipe | jhalmuri or jhaal muri with step by step photo and video recipe. 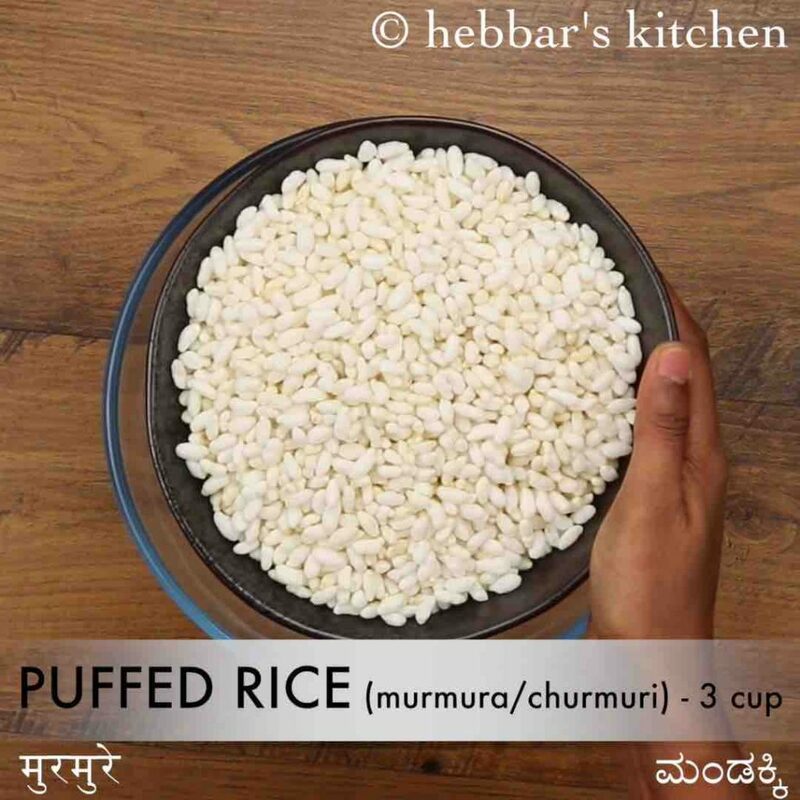 there are several recipes prepared from murmura or puffed rice but generally belong to street food snacks. one such popular recipe hails from kolkata street is the jhal muri recipe or jhal muri masala. one may confuse it with bhel puri from mumbai streets but is unique and native to bengali cuisine. i have always been a huge fan of bhel puri recipe and whenever i see the combination of sev and murmura, my first guess was always bhel puri. but until my first encounter to this jhal muri recipe recently. basically, moumita, my bengali friend had prepared this in our potluck party and i am really happy that i had an encounter with this recipe. 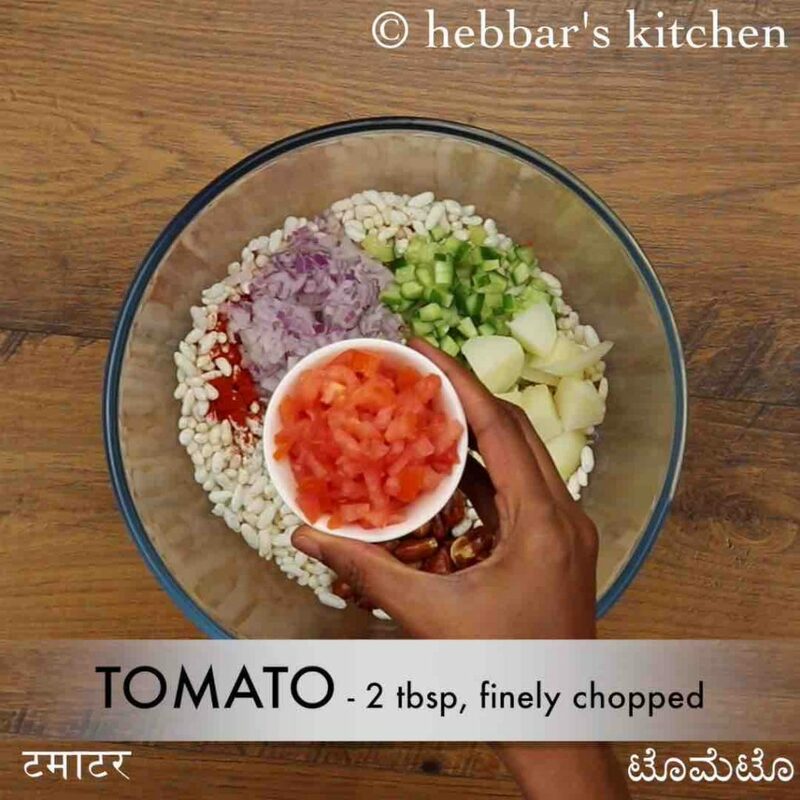 i knew it was not a regular bhel recipe with my first bite, but i assumed some local variation. 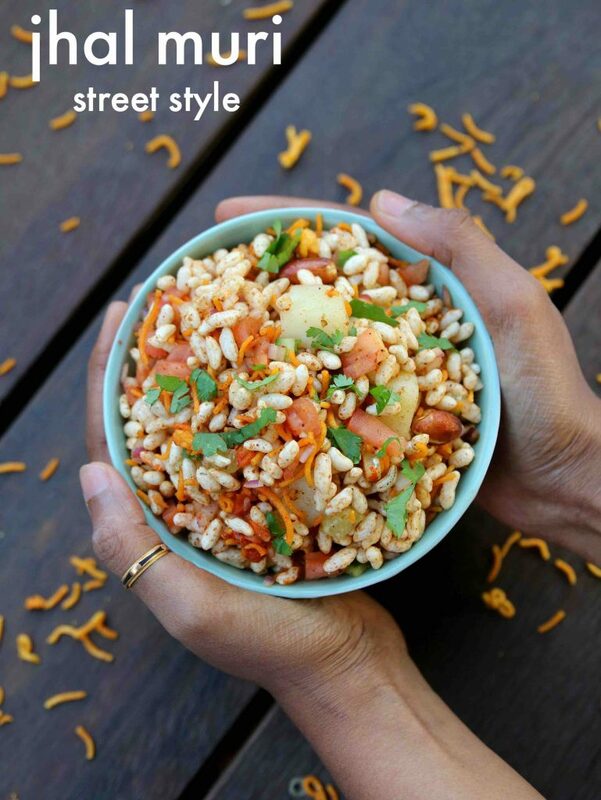 but luckily my husband corrected me and pointed that it could be popular kolkata street food jhal muri or bhel muri recipe. obviously i was surprised and ensured to get the recipe details for the same. moreover i was also lucky to get another variation of bhel in the same potluck party, i.e spicy mysore special churmuri. i am planning to share it soon with a video. furthermore, some easy tips and variations for this spicy jhal muri recipe. firstly, i have used fresh and crisp bhel or murmura for this recipe. also before using it i have microwaved it for 60-90 seconds. alternatively you can also dry roast it without any oil. basically it helps to attain and hold the crisp texture for bhel. secondly, the dish has to be served immediately after it has been prepared. because we are adding vegetables, and it may release water which eventually makes bhel soggy. lastly, if you are planning to serve it for kids, skip the green chilies and red chilly powder. also as an variation add grated carrots to make it colourful and attractive for kids. firstly, in a large bowl take 3 cup puffed rice. dry roast puffed rice if they are not crispy. 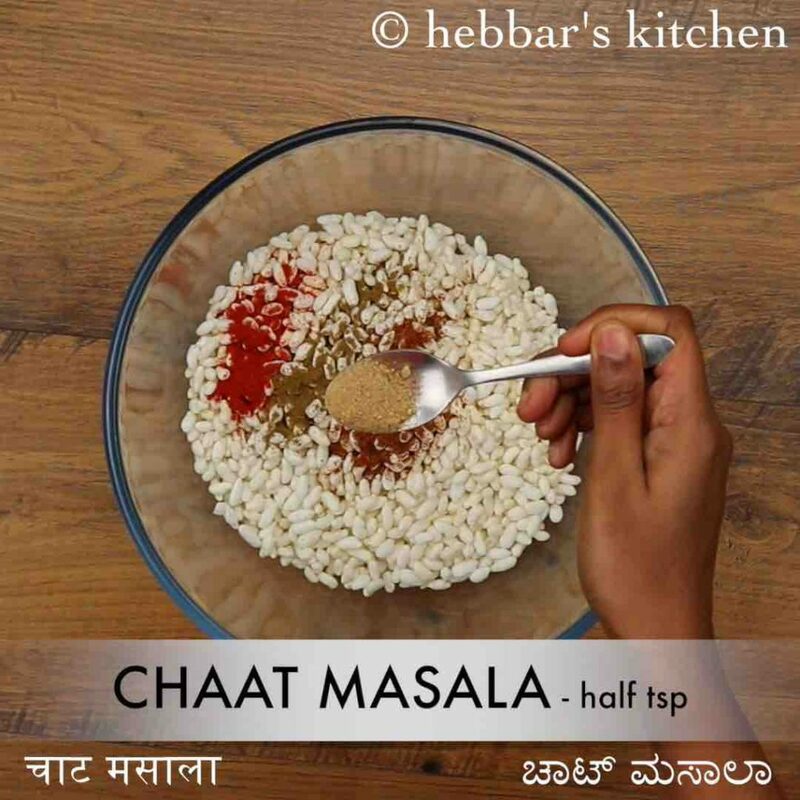 also add ½ tsp chilli powder, ¼ tsp cumin powder, ¼ tsp garam masala, ½ tsp chaat masala, ¼ tsp aamchur and ¼ tsp salt. additionally add 2 tbsp onion, 2 tbsp cucumber, 10 cubes potato, 3 tbsp peanuts, 2 tbsp tomato, 1 green chillli and ½ inch ginger. 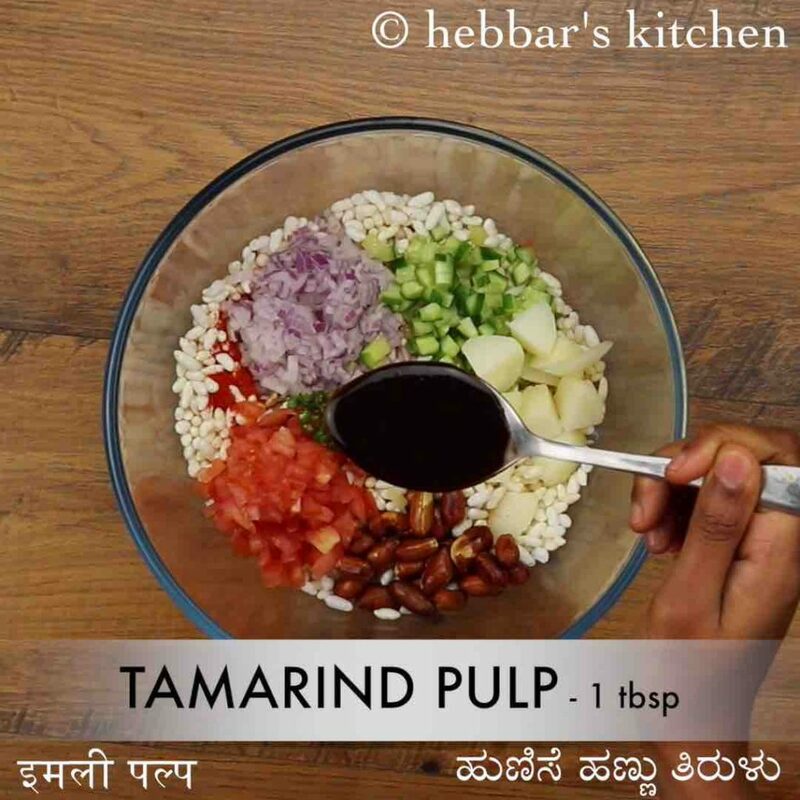 further add 1 tbsp tamarind pulp, 2 tbsp mustard oil and 3 tbsp sev. 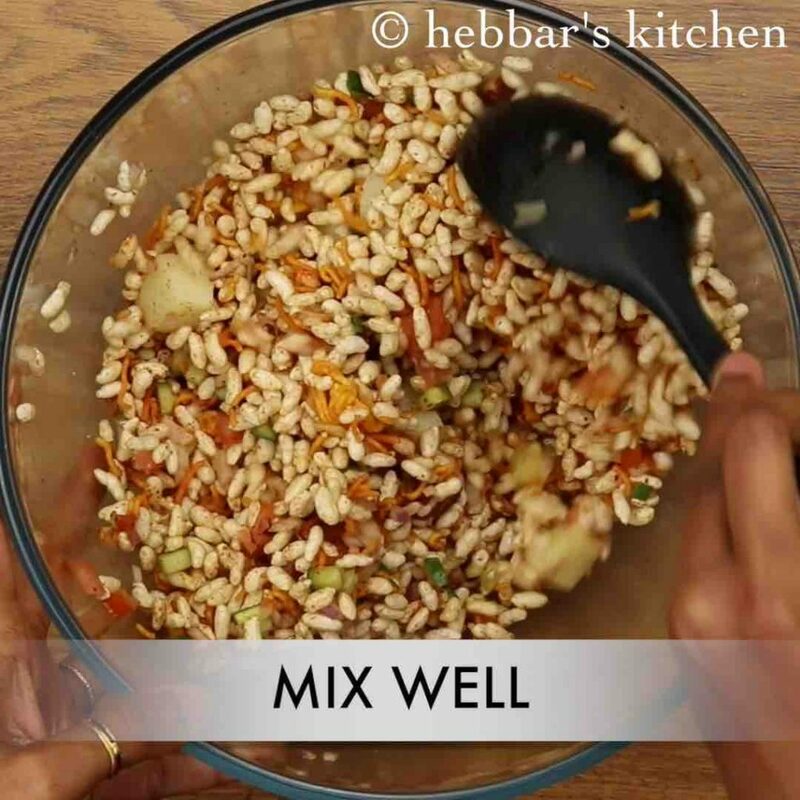 mix well without making puffed rice soggy. finally, serve jhal muri topped with coriander leaves. 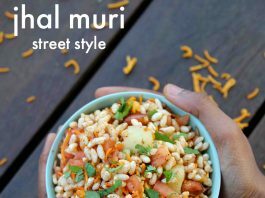 firstly, serve jhal muri immediately else murmura turns soggy and doesn’t taste good. also, instead of tamarind pulp use lemon juice for tanginess. additionally, add sprouts to make it more healthy and tasty. finally, jhal muri recipe taste great when prepared spicy and tasty.